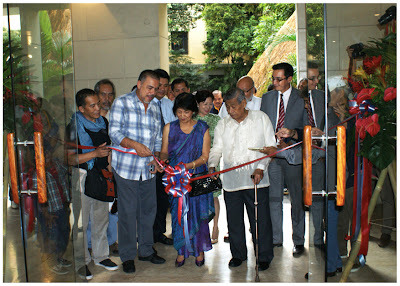 The Vision Petron national student art competition opened an exhibit at the Museum of the Filipino People of the National Museum last 17 January 2012. 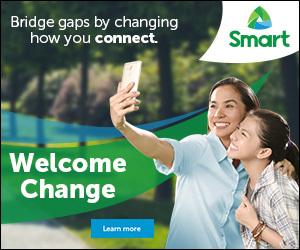 It will run until April 2012, to share on students and bigger public to view the three-month exhibit, it includes the winning artworks of students and related images by the judges of the photography category of the 2011 Vision Petron National Student Art Competition. With a theme Lakbay Pinoy: Journeys to Remember, Pathways to Rediscover, the exhibit is divided into three sub-themes that identify life journeys that expressed symbolically by roads, highways and byways. Mountain path for journey to success, zigzag lane for seasons of change and a forest trail sparking childhood memories, or a nostalgic route conjuring reminiscences of student life. (L-R): Photographer-judges Edwin Tuyay, Sonny Yabao and Wig Tysman; Ramon Cruz, Petron brand marketing head; Mrs. Grace Imao and Hon. Abdulmari Imao, national artist for sculpture; and Jeremy Barns, executive director of the National Museum. 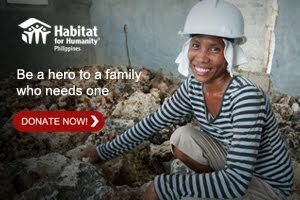 Kapalaran (Destiny) relates to the hopes, dreams and aspirations of Filipinos. Pathways may be hard—as depicted in Dale Erispe's Lakbaying Walang Katapusan, or rocky like Mark Benitez's Lakbay Aral—but with determination and faith, one can reach one's goals. Moreover, Success Begins Here by Alexis Gapal; Gareta by Gim Sam Salak; and Joyride by Eden Joy Cruz. Kaginhawaan (Lightness of Being) expresses the "emotional experience" encountered in a journey such as fun or lessons learned along the way. The happy faces in The Path of Life by Michael Froilan, and Kaya Mo, Kaya Ko, Kaya Natin by Esmeraldo Montero are part of this sub-theme. Other artworks included here are Sa Tamang Destinasyon by Dave Cruz; Yu-Pi, Yumapak sa Pinitak by Amadeo Cristobal; Living on a Prayer by Karl Albais; Juan Ride by Katleen Joy Gonzales; Pamanang Alaala by Meredith Gualberto; Byahero by John Mark Saycon; Promdi by Don Bryan Michael Bunag; Little Help for Mom by Lydel Buenconsejo; and Energy Saver by Reu Dawner Flores. Katotohanan (Truth) features roads as venues for growth and progress. These roads reveal our character and the values we imbibe as we constantly traverse them everyday. Winning works exhibited here are San Juanico Bridge by Erick Salon; Ing Dalan Ning Visitas Iglesia Queng Palengqui Ning Apu by Neil Bryan Urbano; Dugtungan ng Lahi by Arnold Lalongisip; Ride Under the Rain by Kirk Gideon Buenconsejo; Blur by Mark Henrich Go; Shadows of the Past by Reu Dawner Flores; Pasada by Kiss Thrill John Demetita; Which Way by Mari Rose Angeline Lim; Trip to Happiness by Renz Marrione Bautista; and Lakbay Pinoy! Patungo sa Pag-Unlad by Emil Aldrine Alarcon. Vision Petron judges which also our country's leading photographers contributed two images each of their interpretations of the Lakbay Pinoy theme. The master photographers include Wig Tysman, George Tapan, Romy Vitug, Denise Weldon, Scott "Gutsy" Tuason, Edwin Tuyay, and Sonny Yabao. This interaction between masters and budding artists is a significant dialogue for them and the audience as well. By encouraging students to creatively discover their talents under a master's guidance, Vision Petron is inspired by the belief that free artistic expression is intrinsic to nation-building.